October 2014 - What could stop the value of growth? With the Sydney and Melbourne markets dominating price growth in recent years, the question on everyone’s lips is “How long will this continue"? Will interest rates or other factors come into play before the market levels out? What could stop the value of growth? 1. What could stop the value growth? According to the RP Data CoreLogic Home Value Index, capital city home values recorded their largest rise over winter since 2007, this week we investigate what may cause a slowdown in growth. The RP Data CoreLogic Home Value Index results for August 2014 show that home values rose by 4.2% over the three months to August 2014 and are now 10.9% higher over the past year. The growth in the market over the past year has largely come from Sydney (16.2%) and Melbourne (11.7%), with Adelaide (5.9%) the next strongest performer. Since the current value growth phase commenced in June 2012, following 19 months of value falls, combined capital city home values have increased by 18.7%. Although values have increased across each capital city, Sydney (27.2%), Melbourne (19.5%) and Darwin (20.0%) have been the stand-out cities for value growth. In fact, Perth (15.0%) is the only other city to have recorded double-digit value growth over the period. Taking a longer-term view you can see that the strength in the housing market has really been all about Sydney and Melbourne. From the market peak in March 2008 to its low point in December 2008, combined capital city home values fell by -6.1%. From that point, values once again began to increase. Looking at total home value growth from December 2008 to August 2014, only Sydney and Melbourne really stand-out. Between December 2008 and August 2014, Sydney home values are up 50.1% and Melbourne home values are 47.5% higher. The next best performed markets are Darwin (29.0%), Canberra (21.5%) and Perth (15.0%). Home values are -1.4% lower in Hobart while growth in Brisbane (5.3%) and Adelaide (9.9%) has been less than 10%. Although the headline figure represents quite a high level of recent value growth, the increase in values is largely due to growth in home values in Sydney and Melbourne. Of course, these two cities are the largest and therefore have a bigger influence on the combined capital cities index. In light of the recent value growth it is important to realise that it is really a Sydney and Melbourne story with value growth only moderate elsewhere. For 8 of the past 10 years both Sydney and Melbourne have recorded the greatest increase in in population of all cities. In fact, for each of the past 13 years Melbourne has recorded the greatest population increase of all capital cities. The outflow of residents from Sydney and Melbourne to other states, particularly Queensland and Western Australia, has slowed dramatically since the financial crisis. The comparatively stronger value growth between 2009 and 2012 in Sydney and Melbourne means home owners have the equity to purchase investment properties or to upgrade from their current home. The sluggish recent value growth in other cities does not afford home owners the same level of equity and therefore less of an opportunity to upgrade or purchase investment properties. Investment activity has been very much focused on Sydney and Melbourne as values have grown, which has encouraged further growth. Investors are seemingly targeting capital growth rather than rental returns with Sydney and Melbourne having the lowest rental returns of any Australian capital cities. Of course, this growth won’t continue forever. The New South Wales and Victorian state governments have changed the availability of first home buyer grants to apply to new rather than existing properties. This has discouraged first home buyers from entering the market, creating more opportunities for up graders and investors. Given these factors are driving demand and subsequent growth in home values, if these factors were to change, we may see a slowdown in value growth across these cities. Interest rates are the most obvious trigger that could slow down the exuberance in the Sydney and Melbourne housing markets however, the Reserve Bank continues to indicate a period of interest rate stability. With interest rates already at historic low levels and returns on safe investment classes so low, the maintenance of current interest rate settings is likely to continue to encourage investment in housing. In New Zealand and the UK the regulators have introduced macro prudential tools which provide limitations to lending. In New Zealand, the regulators have introduced a limit of just 10% of all lending which can go to mortgages with a loan to value ratio (LVR) of more than 80%. The latest data from the June quarter showed that 33.8% of lending over the quarter had an LVR of more than 80%. In the UK, the regulators have introduced limits on higher risk mortgage lending by limiting to 15% of all new mortgage lending for mortgages of 4.5 times or more the annual income of the mortgagee. With current median dwelling prices of $650,000 and $523,750 in Sydney and Melbourne respectively, it seems fairly safe to assume more than 15% of mortgagees are borrowing more than 4.5 times their annual income to purchase in those cities. To date both the RBA and APRA have shown a reluctance to introduce macro prudential tools preferring instead to utilise a behind closed doors approach to ensuring lending standards are maintained. Of course, other sectors of the economy need lower interest rates so they have continually flagged a period of rates stability. With home values in Sydney and Melbourne continuing to march higher it seems as if only higher interest rates or the introduction of macro prudential tools can realistically stop the growth in home values. You are warmly invited to our next seminar to discover some special techniques that will enable you to grow your equity and your cashflow from specific property investment strategies that work in today’s market. As the market has risen rapidly in many areas, it is not feasible to just buy and hope and wait for capital growth. There are particular strategies you can use to actively grow your equity which will fund your retirement nest egg or further investment property. Where can you go to get unbiased property advice that really makes sense? There is so much noise in the media and property magazines that it’s hard to discern the truth about the property market. At this seminar you will learn the latest trends and strategies in the property market from experts in the field. You won’t get this information from any other source. Stop googling and start networking. Get your questions answered in a live environment. This event is likely to book out so reserve your ticket early. 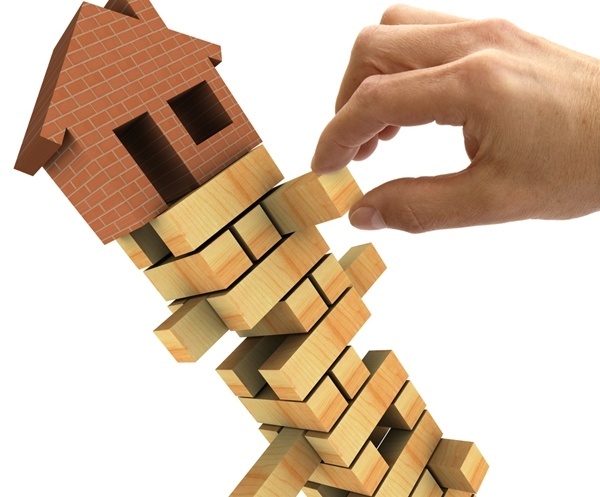 Which way will housing prices head in 2015? Why do the experts often get it wrong? How can I avoid suburbs where prices may fall? Where can I find areas with imminent price growth? Will Brisbane be the next growth centre? Subdivision, renos, dual living, established, off-plan – which technique(s) will work best? John Lindeman is widely respected as one of Australia's leading property market analysts. John regularly provides presentations, commissioned reports and other research services on the nature and direction of the residential property market for property industry leaders. His extensive property knowledge is complemented by around 40 years' experience as a successful property investor. With well over a decade of experience researching the nature and dynamics of the housing market at major data analysts, John is renowned as the property market researcher that property experts go to for all their Australian housing market insights. John’s monthly column on housing market research has featured in Australian Property Investor Magazine for over three years. John is a regular contributor to property investment e-newsletters and programs such as Michael Yardney’s Property Update, Kevin Turner’s Real Estate Talk, Alan Kohler’s Eureka Report and author of the landmark best-selling book for property investors, Mastering the Australian Housing Market published by Wrightbooks. Rich is a buyers’ agent, property investor and professional economist with over 18 years experience in the property industry. He is a research expert and highly skilled in investment analysis and negotiation techniques that can deliver real savings for his clients. Rich and his team have purchased over 1700 properties for their clients. As Australia’s leading Buyers Agent, Rich has won 25 major awards including the prestigious National Telstra Business award in 2007 and also named the winner "Best Buyers Agent in Australia" by the Real Estate Institute of Australia (REIA). With a career spanning over 20 years in the lending and property sectors, Paul Liccione is a respected expert and successful entrepreneur within the financial services industry. Whether it be delivering presentations at consumer property seminars around Australia or providing training and coaching to finance professionals, Paul has a unique, entertaining and engaging ability to pass on information which empowers others to make a difference in the pursuit of their goals. Paul’s presentation will help you navigate your way to whatever you choose as your destination. "....Anna managed the situation superbly"
Tracey was looking to up-size from a unit and move closer to the city. She travels frequently and always kept me abreast of her availability to look at properties and made it a priority when something suitable was available. We looked at a variety of properties and being very familiar with the area it was easy to impart the pro’s and con’s of the various locations and property potential. Tracey saw the property we purchased a few days prior to leaving for the US on holiday and we successfully negotiated a price prior to the auction and transacted it remotely while Tracey was on holidays which went without a hitch as we communicated throughout the whole process. Having a relationship with the agent helped us secure the property without having the purchaser here to sign the documents.